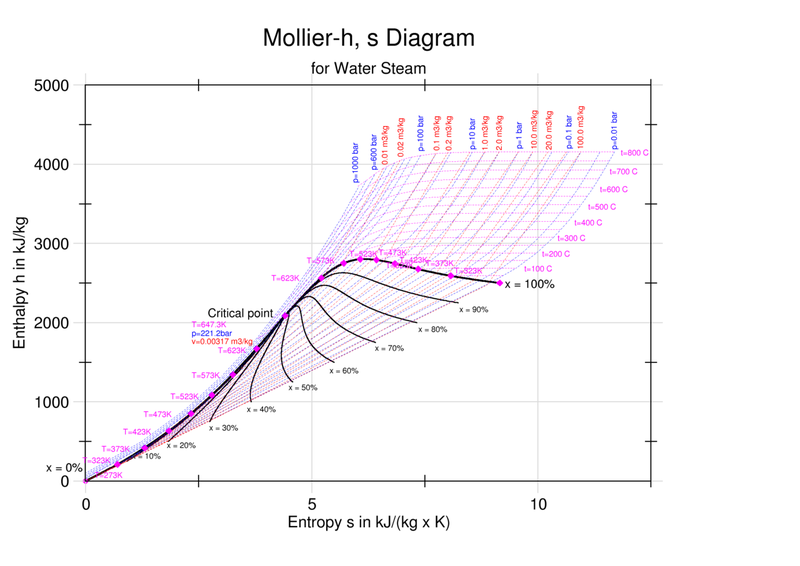 The Mollier diagram, shown in Figure A-1 , is a chart on which enthalpy (h) versus entropy (s) is plotted. It is sometimes known as the h-s diagram and has an entirely different shape from the T-s diagrams. 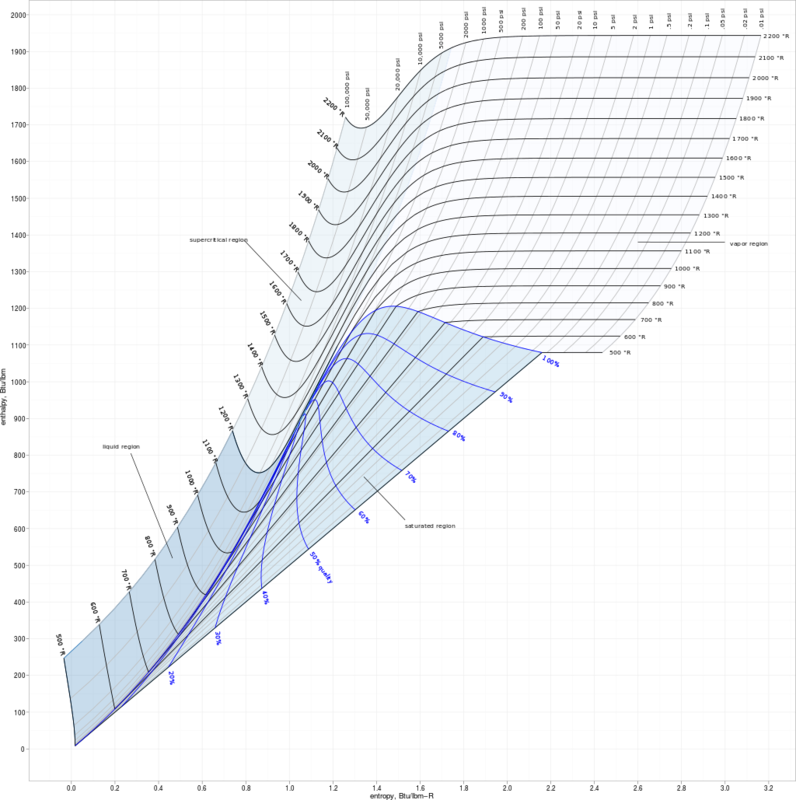 The chart contains a series of constant temperature lines,a series of constant pressure lines, a series of constant moisture or quality lines, and a series of constant superheat lines. The Mollier diagram is used only when quality is greater than 50% and for superheated steam.